25 April 2015 was just a slap on the wrist compared to what is coming. It is that time of year again, and the government is getting ready to mark the annual National Earthquake Safety Day on 15 January. Once more there will be speeches, pledges and promises but no one has any hope of any quantum leap in making up for lost time on reconstruction, or in preparing for future shocks. People tend to have short-term memory, and in 20 months since the Gorkha Earthquake, despite multiple studies warning of more powerful earthquakes to come, the nation and state are back to business as usual. Even as survivors try to overcome the impact of the last quake, they have to prepare for bigger ones in future. The cold reality of a second winter out in the open forced many to rebuild with salvaged material using traditional methods. Without government help, many did not have the wherewithal to build back stronger. 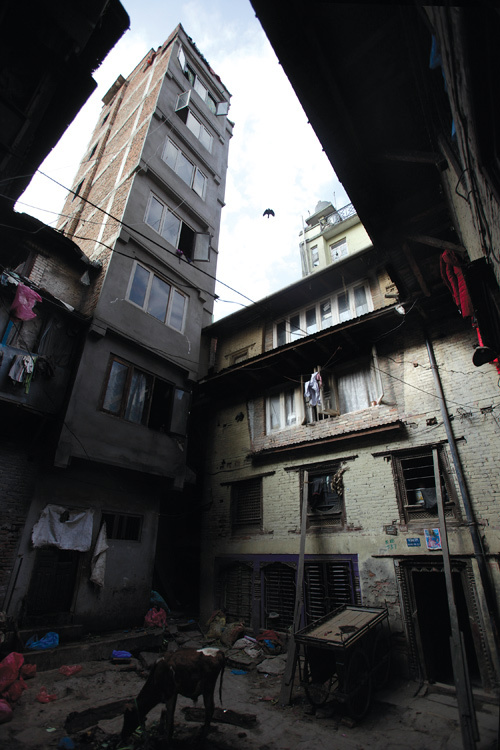 In Kathmandu Valley, the earthquake damage convinced many that cement buildings are safer. A stronger earthquake that lasted longer would have pancaked most concrete structures on 25 April 2015. As our special report in this edition (page 14-15) points out, scientists have warned of much more catastrophic earthquakes in the vicinity of Kathmandu Valley and in Western Nepal. Existing and new buildings are just not capable of withstanding the intensity of shaking we are bound to experience in the Central Himalaya at any time. The 7.8 magnitude Gorkha Earthquake and its 7.3 aftershock in April killed nearly 9,000 people and displaced 2 million. 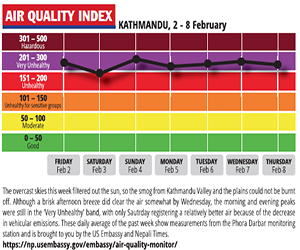 Central Nepal tilted like a see-saw: Kathmandu Valley rose by 1.6m and the terrain to the north sank. Tragic as the loss of life and property was, April 2015 could be just a slap on the wrist compared to what is coming. The quake did not fully release accumulated strain along the Main Himalayan Thrust, the fault along which the Indian landmass ploughs under the Eurasian plate at 1m every 50 years. Now, scientists from Tribhuvan University, Hiroshima University and the University of Nevada have found evidence of surface upliftment of as much as 10m in a major earthquake eight centuries ago. This finding confirms historical records of a megaquake in Kathmandu in 1255 that killed one-third of Valley’s population, including King Abhaya Malla. The 2015 rupture travelled eastwards along the fault line, but petered out to the south of Kathmandu, not allowing stored tectonic energy to be released. This section of the Himalayan Frontal Thrust is ripe for another rupture, and an 8.5 magnitude earthquake so close to Kathmandu would be 20 times more powerful than April 2015. In addition, the region west of the 2015 epicentre is sitting on a seismic gap where a megaquake has not occurred for more than 500 years. The last one probably created the landslide dam burst on the Seti that deposited a debris field 100m deep on which the city of Pokhara is now located. A big earthquake in Western Nepal, scientists reckon, would cause the terrain to be lifted by 10m or more. And that is not a matter of if, but when. We do not intend to spread panic, but the sad fact is that Nepal has squandered the lessons of 2015, and we are woefully unprepared for a disaster sure to come. This doesn’t just mean rehabilitating structures that came down two years ago, but also retrofitting buildings in western Nepal where a Big One is imminent. The delayed and ineffective response to 2015 and the lack of serious preparedness is a result of a larger failure of governance. As our report shows, the whole corrupt building permit process has to be overhauled so that safety comes before revenue. We cannot afford to wait for the politics to fix itself, our greatest concern now should be on pre-disaster preparedness and to learn from past experiences. Ward 17 of Kathmandu is an example that readiness with stockpiled of relief equipment and material pays off, and that neighbourhood offers a lesson for other communities not to wait for the government to get its act together. Some organisations had started working on retrofitting schools and public buildings in western Nepal even before 2015, and these efforts need to gain momentum.